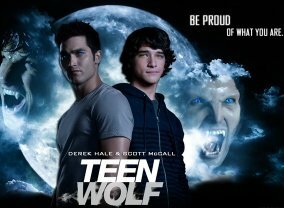 Teen Wolf combines friendship and love in the context of horror and high school, starring Tyler Posey as the newly bitten werewolf, 'Scott McCall,' Crystal Reed as the mysterious new girl in town, 'Allison,' Dylan O'Brien as Scott's best friend 'Stiles,' Tyler Hoechlin as the older werewolf, 'Derek Hale' and Holland Roden as 'Lydia,' the popular girl with a secret. Always an outsider and often unnoticed, Scott McCall yearns to be recognized in some small way that takes him out of his typical state of high school anonymity. When his best friend, Stiles, convinces him to go into the woods one night to join a police search for a dead body, Scott encounters a creature in the darkness. Narrowly escaping an attack with a vicious bite in his side, the next day brings strange surprises for Scott at school and his life will never be the same.